Selected images from a winter trip to Costa Rica. We spent about 5 days in the region of the Arenal Volcano, then another 5 days in the Manuel Antonio National Park on the Pacific coast. An excellent opportunity to see some parts of the country that we didn't get to during our previous trip in 2006 . 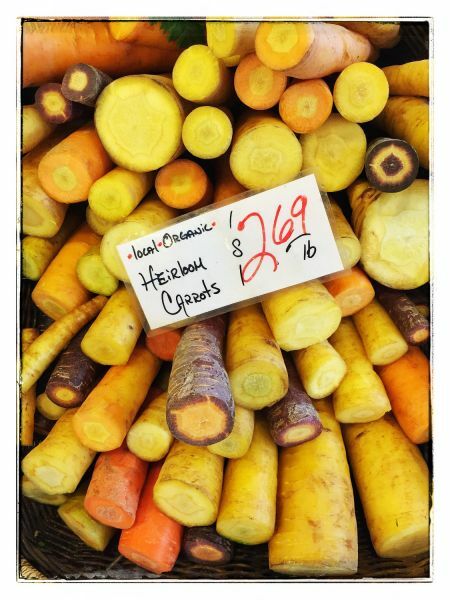 Click the image above to go to the gallery. Restored with new raw conversions as of March 14, 2015. The Toadstool Hoodoos are a group of highly eroded sandstone features found in the Vermillion Cliffs Wilderness area in southern Utah. 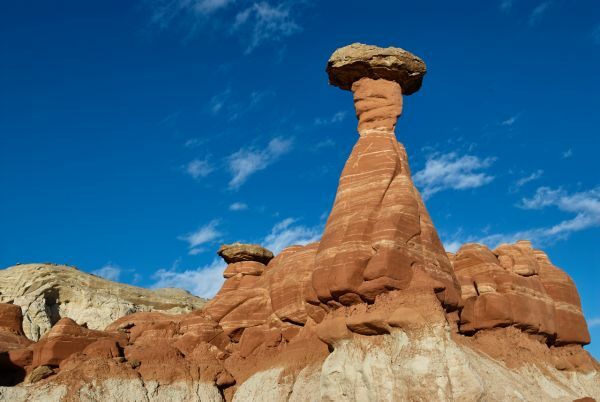 Since posting my images from this region, I have noticed that one of the more common search phrases that leads people to this site is something along the lines of "toadstool hoodoos map". As visitors are obviously interested, I have put together a short article on the Hoodoos themselves, locations via Google Maps, and some observations on shooting these structures. So, just what is a hoodoo? Hoodoo is a term for a tall spire of rock, arising due to differential erosion of sandstone. 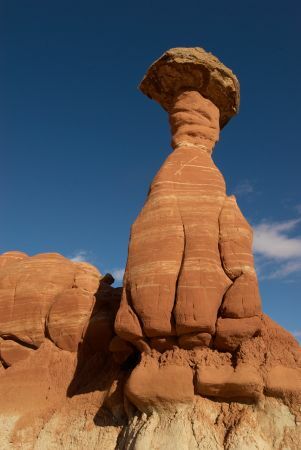 The hoodoo is protected from erosion by a 'capstone', visible on top of the Toadstool as a contrasting lighter grey piece of rock. As the capstone protects the sandstone below it from rain fall, the hoodoo rises from the surrounding badlands as unprotected sandstone erodes away. The greatest aggregation of Hoodoos people usually think about is at Bryce Canyon National Park. Bryce Canyon is almost directly to the north of the Toadstool Hoodoos. Both Bryce Canyon and the Toadstool Hoodoo region have been eroded by rainfall that runs into the Pariah river and south through the Pariah Canyon in the Vermillion Cliffs wilderness. This is an overview map of the state of Utah, the marker point is positioned on the parking area for the trail to the hoodoos. As you can see, this is in the very far south of Utah. This is a sparsely populated area, the nearest towns of any size are Big Water, about 12 miles east along state Highway 89, and Kanab 45 miles to the west along Highway 89. Big Water is a small town of about 300 people, however there are some facilities (stores, fuel etc) here. Big Water is also a jumping off point for trails into some of the most remote parts of the Grand Staircase Escalante National Monument. Driving to the parking area from Kanab is a spectacular drive, passing through large parts of the Vermillion Cliffs Wildnerness. Erosion in this area has revealed a colorful badland, with blues, greens, violet and deep red colors in the layered sandstone. The parking area is on the left as you drive to the east on Hwy 89. It is not specifically signposted, but it is pretty obvious and easy to find. This is a much closer in view of the general trail from the parking lot to the region of the hoodoos. There is no "real" trail, but the general idea is to follow the stream bed of a small, unnamed rivulet up into the canyon region. As this area has very little rainfall, footsteps from others and impromptu trail formations are readily visible. In keeping with the ideas of minimum impact hiking, if there is an existing trail, use it. The soils and clays of this region are extremely fragile and erosional impacts from increased numbers of recreational users will be detrimental to the region if we all do not take care. After about 3/4 of a mile of walking upstream, you will come to an area with a large jumble of boulders and small arroyos and the stream bed takes a hard right turn. At this point, looking to your left you should see a foot-worn trail leading up over the slick rock. Following this trail will bring you to the base of the amphitheatre within the rim rocks that holds the hoodoos. The whole point of shooting these structures is to get the best representation of their complex layering, textures and deep colors. This is something that you are just not going to be able to do in blazing midday sun. Lit from above the capstone will put the spire in shade, and the contrast range between the highlights of the white stone and the shadow detail of the spire will be lost. "Magic hour light", late in the afternoon, early in the morning, or even in pre-dawn or twilight after sunset is definitely the best light to capture these types of formations. All the shots in my gallery were taken in late winter and late in the day. In winter the sun sets behind a large ridge to the south of the hoodoos, and as sunset approaches the hoodoo amphitheatre region is dropped into fairly heavy shade while the ridges and arroyos to the north east are still lit, this poses another problem as the background is lit brighter than the subject. I found that the best images I got were taken about 30 minutes before sunset, when the spires were sidelit and sand ripples are thrown into high relief. Carry and use a tripod. Click any of the images to go to a gallery from the Grand Staircase Escalante National Monument. Daniel Dennett, the Austin B. Fletcher Professor of Philosophy at Tufts University, is one of the most prominent modern philosophers and thinkers in the areas of cognition, the evolution of consciousness, and the development of the human mind, whatever that may be. A prolific author, he has published books discussing evolution (Darwin's Dangerous Idea: Evolution and the Meanings of Life), the roots of religious belief (Breaking the Spell: Religion as a Natural Phenomenon), cognitive strategies (Intuition Pumps and Other Tools for Thinking), and many other, related areas. Over his nearly 50 years of activity in this area he has returned time and again to fundamental questions such as "what is a mind" and "how did humans develop consciousness". In Bacteria to Bach and Back: The Evolution of Minds he presents a broad ranging, carefully considered summary of his argument that minds, consciousness and all the paraphernalia of our internal lives has developed in a logical, step-wise fashion depending only on natural selection, Darwinian evolution, and the eventual development of a persistent symbolic culture.